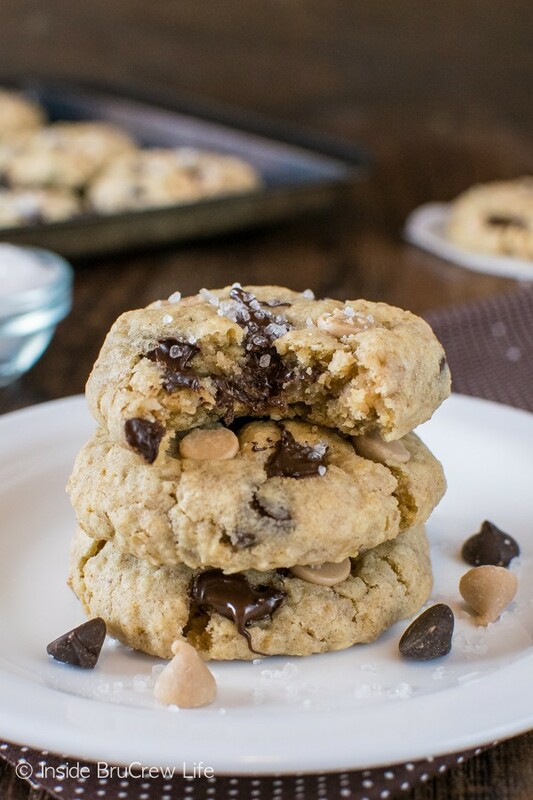 These pudgy Salted Caramel Chocolate Chip Cookies are loaded with different chocolate chips and topped with coarse sea salt. 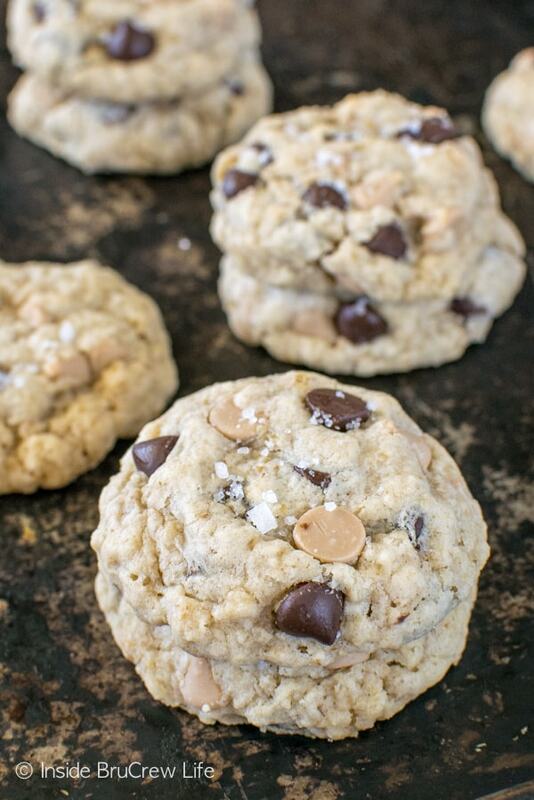 The sweet and salty flavor will have you grabbing a few extra cookies off the plate. 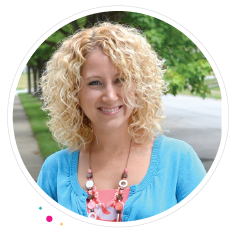 *I am partnering with Morton Salt to create a fun recipe. As always, all opinions are 100% my own. This cookie jumped right to the top of my “must make again” baking list after one bite. It takes a lot for a baked good to make it to that status because I am always making treats that become my new favorite. Of course, I bake something new the next week and that becomes the “it” recipe for the time being. I found bags of salted caramel chips in our grocery store, and I immediately bought five bags because I can’t say no to sweet and salty things. After devouring a few handfuls, I decided to add them to an oatmeal cookie with some chocolate and coarse sea salt and fill our empty cookie jar. I have been baking since I was 4 or 5 years old, but it wasn’t until I got older that I understood why salt was so important to baking. Salt adds balance and helps to boost flavors in sweet or savory recipes. That added salt makes you want to keep taking bite after bite. Over the years, I have learned how different types of salt really enhance and change a recipe. This month I am partnering with Morton Salt to create a recipe showcasing a specific type of salt. 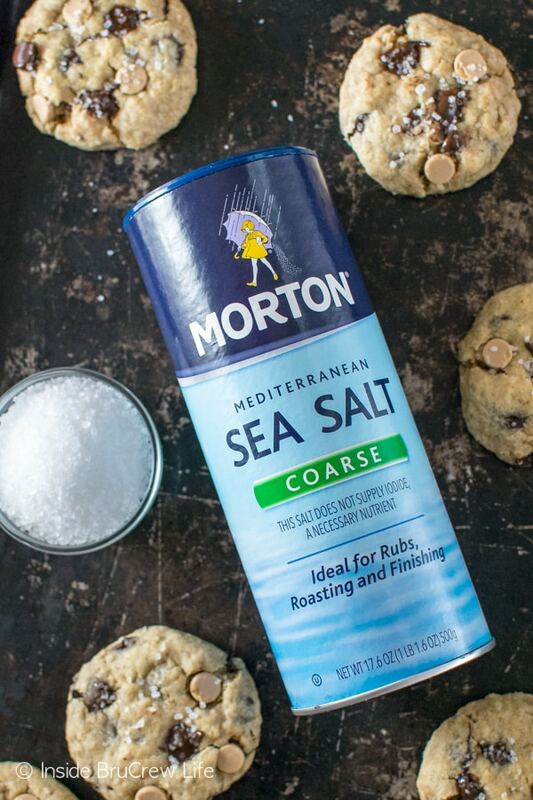 I actually always grab Morton table salt for all my baking needs, so I was so excited to see that they also carry coarse sea salt too. Having a couple different types of salt in the pantry to bake with is always helpful. 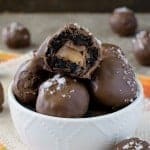 I love adding coarse sea salt to desserts like these salted caramel brownie bites, so I couldn’t wait to create some more sweet and salty treats. 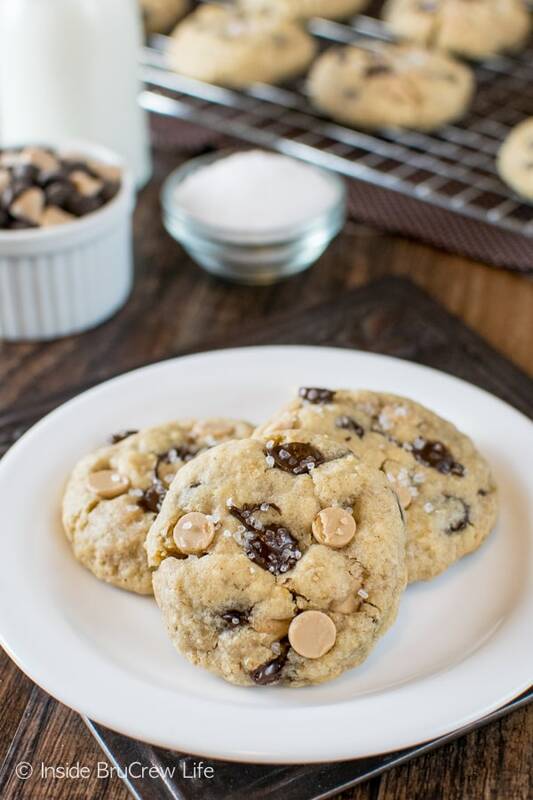 Coarse sea salt adds flavor and crunch to these fun cookies. For these salted caramel chocolate chip cookies, I used regular salt in the dough to add flavor. When the warm cookies came out of the oven, I gently tapped them with a flat spatula and added coarse sea salt. The large grains of salt stick to the surface of the warm cookies giving them a shimmery look and crunch. It is hard to only eat one cookie. These cookies were perfect for packing in our kid’s lunches and for sharing with friends. In no time at all, the second batch disappeared too. I’m thinking a third batch needs to happen for holiday treat trays. Stir together the salt, cornstarch, baking soda, cinnamon, flour, and oats. Slowly beat into the butter mixture until everything is mixed in. Stir in the chips. Roll into 36 dough balls. 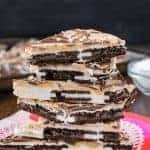 Place on a cookie sheet and bake for 7-8 minutes. Remove from the oven and immediately tap the tops of the cookies with a flat spatula. Let the cookies sit for 2 minutes on the cookie sheet, then remove them and place on parchment paper. Sprinkle with coarse sea salt right away. Let cool completely. Store in a tightly sealed container. These cookies look amazing! 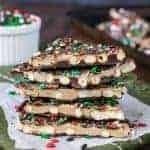 Perfect Christmas cookie in my opinion 🙂 Thanks for the recipe. 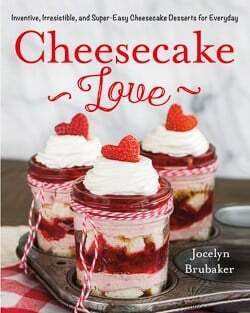 Hi…I want to make these but can Celtic Fleur De Sel salt or sea salt flakes be used instead of the coarse sea salt? Please reply. Thanks. Yes, either of those would work, but the flakes aren’t going to be as large or pronounced on the cookies. I would recommend the coarse sea salt for more crunch and visual appeal. 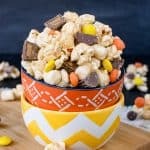 Well, I made these today and they are sooooo good! I used a small cookie scoop which made 74 bite size cookies. 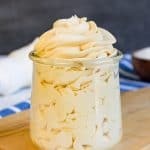 My husband rated these 10! Thanks again for the wonderful recipe! Mmmm. 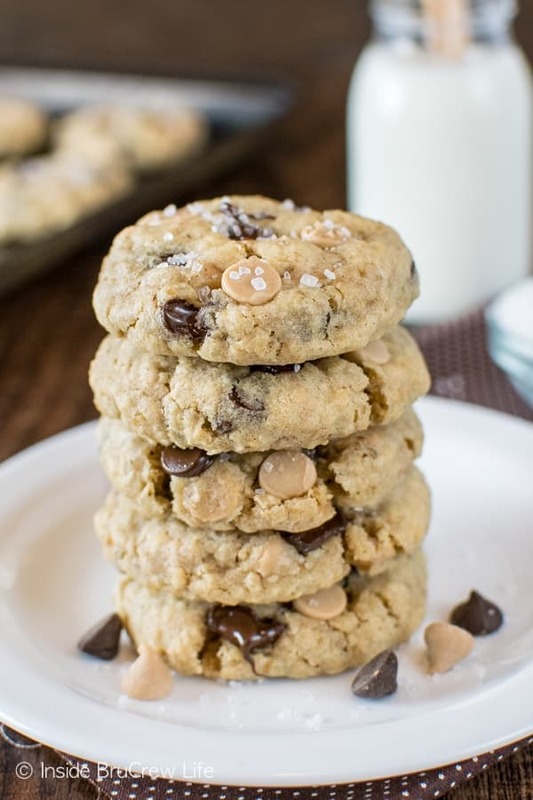 Salted caramel chocolate chip cookies. Yum! I found the caramel baking chips at a United grocery store and at Walmart. 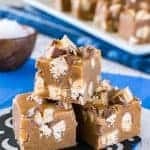 The caramel bits will work too, just make sure you bake the cookies on parchment paper or a Silpat because the caramel will stick. Also, place them on parchment to cool because they will stick to a wire rack.